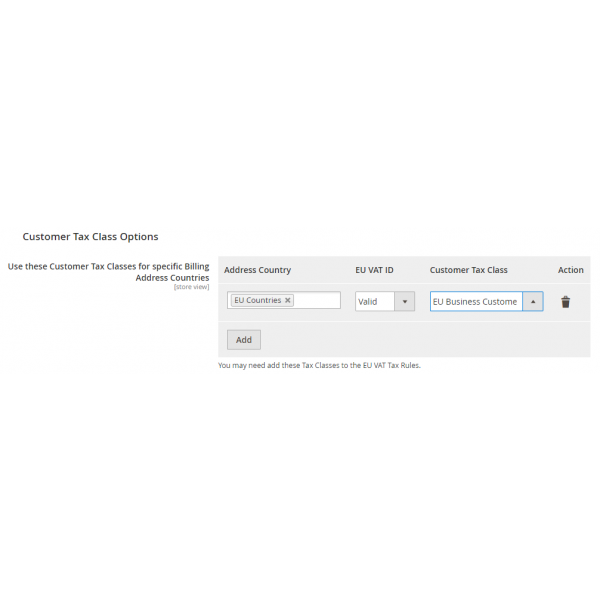 Create assignments to a selected Customer Group or Customer Tax Class based on the Billing Address Country and the VAT ID status, that override the automatic classification done by the EU VAT for Magento extension. 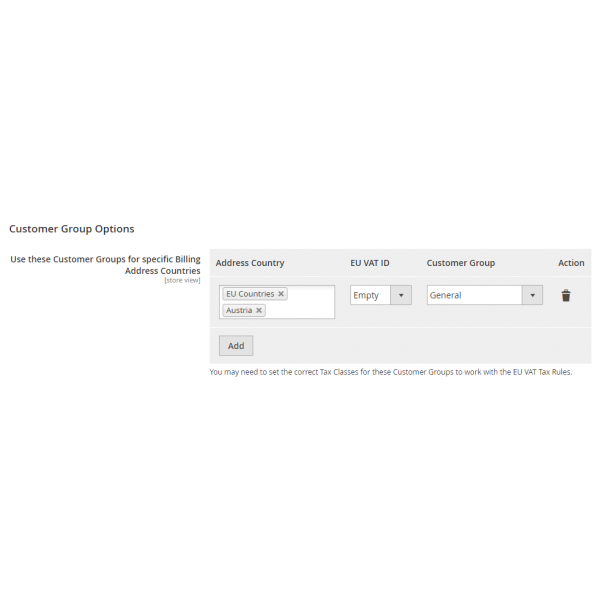 Use this for example to assign customers to a Customer Group for additional pricing rules based on Billing Country and VAT ID status. Requires the EU VAT for Magento extension. Regular maintenance update, includes new function to exclude customers from EU VAT update based on customer group membership. Initial release, requires EU VAT for Magento in release 2.0.23 at minimum. You may need to update your EU VAT installation. Currently there are no additional Downloads available for this product.